Homepage What are the settings for an iPhone? What are the settings for an iPhone? Go into the mail application and set up a new incoming (POP) account. Here are the settings to copy. 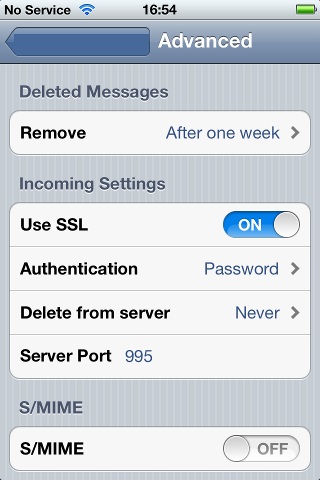 Make sure that you copy the authentication, SSL and port settings exactly. 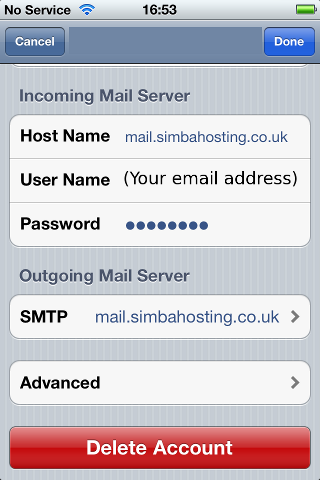 Your incoming and outgoing passwords are the same (don’t forget to add the outgoing password – otherwise you will only be able to send mails to other Simba Hosting customers).